Norwegian public radio (Google-translated) reports on the instant dead of thousands of fish in a bay in the island of Lovund, Norway. 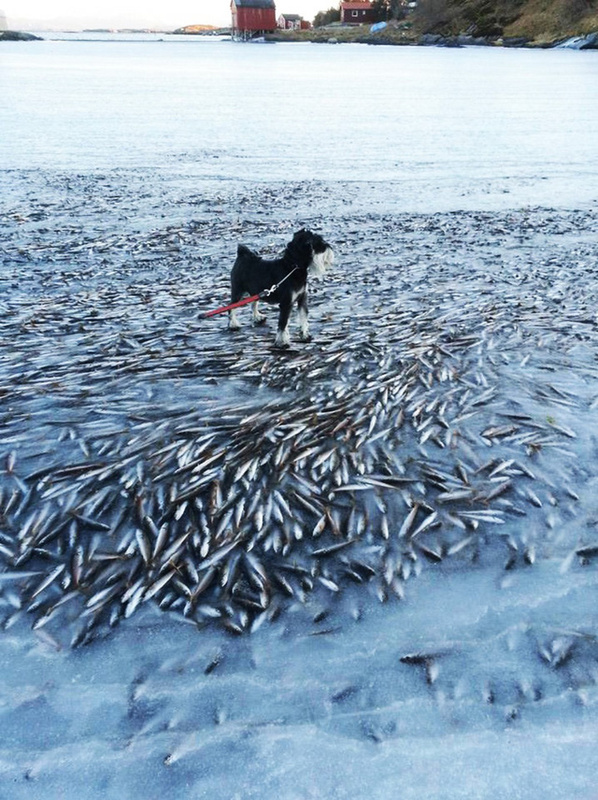 An air temperature of -7.8 C (17.96 F) combined with a strong east wind froze the sea water instantly, trapping and killing the fish you can see in this fishapocalyptic image. The dog owner says that he has never seen such a phenomenon. NRK claims that the herrings were chased by cormorants into the bay when the deadly freezing happened. 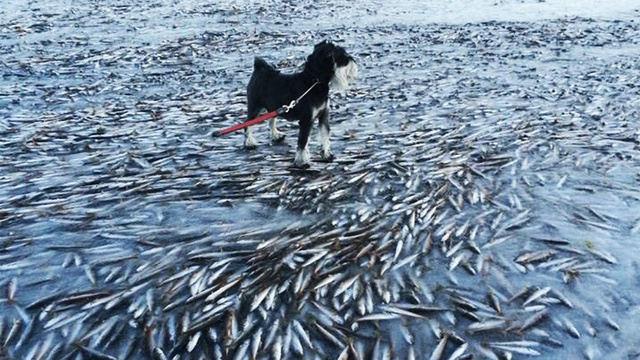 Aril Slotte—the head of pelagic fish department at Norway's Institute of Marine Research—says it is not uncommon for herring to get very near the shore when chased by predators, sometimes getting trapped by the low tide in areas like this bay.